The History and Antiquities of the County of Rutland, with a new introduction by Jack Simmons. von Wright (James), with a new introduction by Jack Simmons:: Wakefield; E P Publishing in collaboration with Rutland County Council 2nd impression 9780854098538 - Staniland (Booksellers) P.B.F.A. 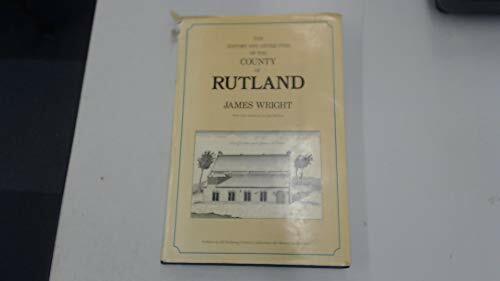 The History and Antiquities of the County of Rutland, with a new introduction by Jack Simmons.